I’m tempted to dazzle you with a bunch of super cool lentil facts but I’ll refrain 😉 Let’s keep it short and sweet: lentils ROCK. They’re easy to cook, packed with nutrients and protein, satisfying, and budget-friendly (yay!) 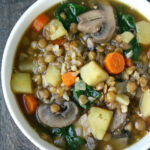 This recipe is adapted from one of my favorites: Lentil Spinach Soup. 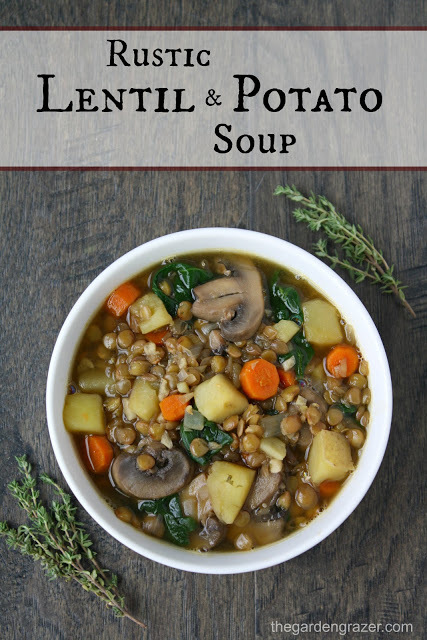 Any form of lentil soup is a win in my book, but this one feels extra hearty and wonderfully rustic with chunks of potato, carrot, and mushroom. It reminds me of a veganized version of classic beef stew! Also a nice bonus? The leftovers are delicious. The broth becomes even richer and more flavorful the next day. (Which is great news because I’m a soup-for-breakfast kind of girl.) As always, soup is beautifully versatile so have fun playing around with your own variations. 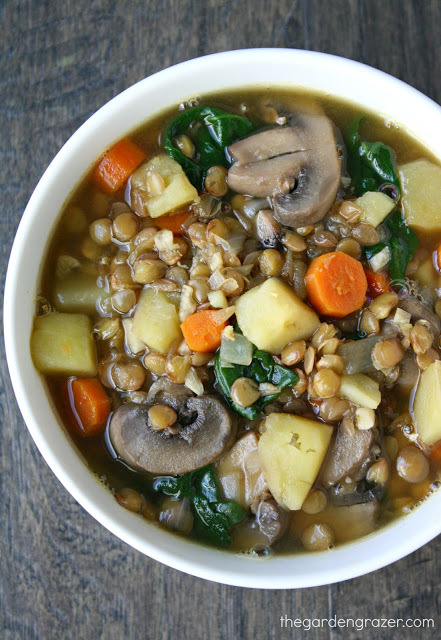 Cozy up to a warm bowl and enjoy! Satisfying Lentil Potato Soup with mushrooms and herbs! 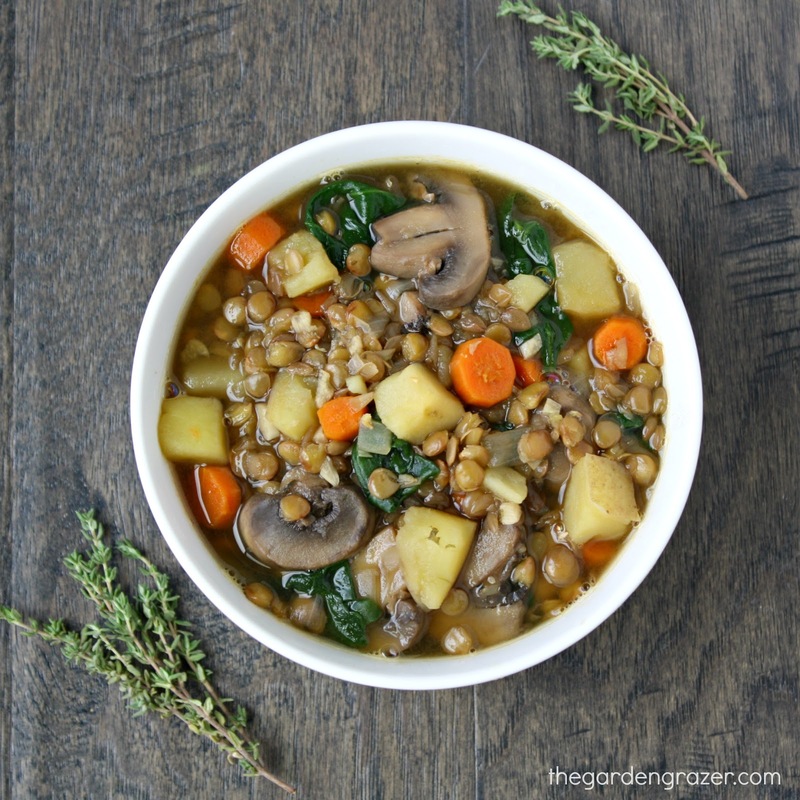 The rich, savory flavors remind me of a vegan version of classic beef stew! Dice onion and carrot, and mince garlic. Halve/slice the mushrooms. Dice the potatoes into about 3/4″ chunks. In a large stockpot over medium heat, saute onion for 5 minutes. Add potatoes, carrots, mushrooms, and dried thyme & parsley. Cook 4 more minutes. Add garlic, and cook 1 minute. Add broth, 3-4 cups of water (or more broth), and tamari. Increase heat and bring to a boil. Once boiling, add lentils (rinsed) and reduce heat to a simmer. Simmer 35 minutes or until lentils are tender. If you don’t have dried thyme or parsley, a combo of dried basil and oregano work well too! This makes a large batch, so cut in half if desired. This looks delicious! I'm wondering if you've ever made this in a crock pot and if so, how did you do it? Hi Lindsay! I've never done this in the crock pot, but I'm guessing it'd do pretty well! My estimate is to toss everything in, and cook on high for about 5 hours 🙂 Would love to hear if you give it a go! I just tried this in the crock pot! Amazing! However, I'd say it only takes about 3.5-4 hours on high to cook! Awesome!! Thanks so much for coming back to let us know! Glad you enjoyed it 🙂 Have a great weekend!! I made this last night and it was so delicious and filling. Thank you! How about green lentils? Any difference in the cooking? Would these be ok? Hi! Green lentils would be a good substitute here – they tend to hold their shape as well as brown lentils, and the cooking time is similar 🙂 Hope you enjoy!! My husband just loved it! I didn't have spinach, but we didn't miss it at all. I used fresh parsley and celery instead. Thank you for the recipe! Hi, thanks for posting this. How much oil should I use to saute the onions? I see no mention of this in the recipe or ingredient list. Hi Dorothy! I leave that direction out because people use different things to saute (sometimes I use oil, or sometimes broth or water for the "healthier saute" method.) When I use oil I just do a little drizzle – just one or two swirls around the pan is all it seems to take 🙂 Hope you enjoy!! Made this tonight and it was yummy! I also added a can of whole tomatoes and dash of balsamic vinegar!! I just made this tonight. It was a great soup. 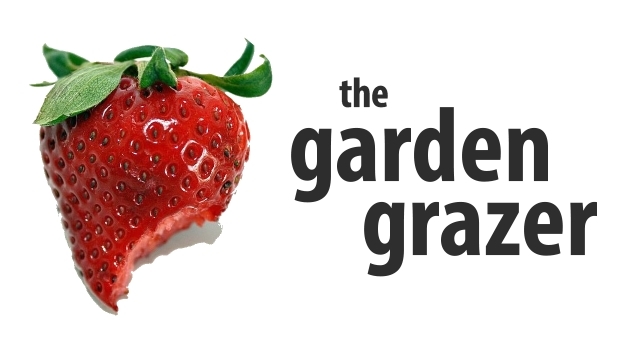 I added grape tomatoes from the garden, and it gave it a nice flavor. Thank you.